Hello my name is Jodie Dye. The Beauty Treatments book was downloaded to my heart straight from the heart of God; not for me only but also for the Church, His Bride. After going through a huge heartbreak, I took on a challenge for one whole year to be unavailable for any dating relationships. During that year I surrendered my whole self (mind, body, and spirit) to the Creator God for His workmanship. I prepared my heart for the King of Kings just as Esther prepared her heart for King Xerxes in the Bible. Esther was given beauty treatments and special food for twelve months to prepare her. I began to study the book of Esther to discover some spiritual truths for myself. Those spiritual truths are revealed in the Beauty Treatments book. Applying these spiritual truths to my life not only brought me close to the throne of the King of Kings, but they changed my life and gave me an inner beauty that is so radiant and more valuable than gold. 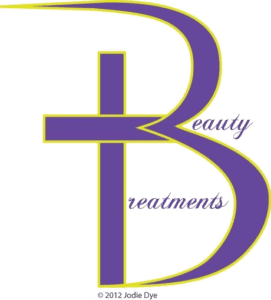 I call these spiritual truths, “Beauty Treatments.” I hope you will join me in this journey to find the beauty that God possesses and gives freely to those who seek it out as a treasure. I would love to walk beside you on your journey to inner beauty as well, so please feel free to contact me and we will have the time of our life as we attend the banquet table of the Lord. If you would like to hear more about my story, or you would be interested in having me speak at an upcoming women’s event, please send me an email.